Welcome to Low Country Holidays where our aim is to provide your clients with a golfing experience to remember. We are a husband and wife team who have been coming to this part of the world since 1995 and now have a second home here so nobody else can provide the level of expertise, borne of first hand knowledge that we can. If you are a Tour Operator based in the UK or mainland Europe who needs a source for wholesale golf, accommodation and car rental rates for the USA then we are here to help you. Apart from our quote and booking services we can also provide you with resources such as hi-res photos, resort overviews and more. With many outstanding destinations along the South East Coast of the United States together with Pinehurst, in the sand belt of North Carolina, Reynolds Plantation on Lake Oconee and Scottsdale, the jewel in the Arizona desert, we can provide a mouth watering range of packages including some of the most famous golf courses in America including The Ocean Course Kiawah, Pinehurst No. 2, Harbour Town Golf Links in Hilton Head and the TPC Stadium Course at Sawgrass, home of the Players Championship. Visit the bustling area of Myrtle Beach with it’s 60 miles of sandy beaches and over 80 championship golf courses. With so much to see and do along with the great value and sheer variety of golf available, Myrtle Beach has been a popular destination for travellers from the UK and Europe for decades. Alternatively, seek out the quiet beauty of Pawleys Island which boasts some of the top ranked courses in South Carolina including the spectacular Caledonia Golf & Fish Club. Maybe immerse yourself in the history and cultural diversification of Charleston while enjoying some great golf including Wild Dunes Resort on Isle of Palms. 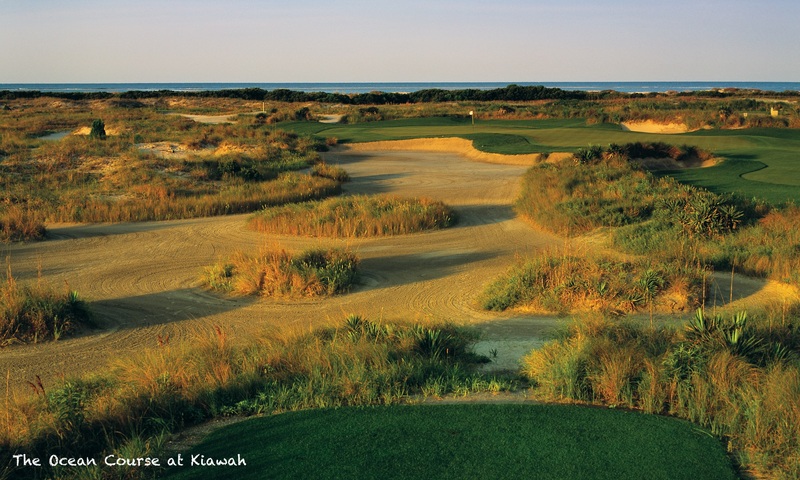 Just a little further south is the world renowned Kiawah Island Resort. Finally, a couple of hours drive south and you come to Hilton Head Island with many fine courses including those at Palmetto Dunes and Sea Pines, two of our featured resorts. Five great destinations spanning the Atlantic coastline of South Carolina. With direct flights to Charlotte and Raleigh / Durham International Airports from the UK, Pinehurst Resort in North Carolina is easily accessible and has everything you could wish for from a top class golf resort. With outstanding accommodation, plenty of on-site amenities and 9, yes that’s NINE, 18 hole championship golf courses including the Donald Ross classic Pinehurst No. 2, venue of multiple US Opens and many other top PGA, LPGA and USGA events. Away from the coast, you can relax by Lake Oconee, Georgia at the Ritz-Carlton Reynolds. Formerly known as Reynolds Plantation, this first class resort boasts six fantastic 18 hole courses, five of which are available to resort guests. Lake Oconee is close to the Historic City of Greensboro, Georgia. The Marriott Sawgrass Resort includes two Pete Dye designs including the TPC Stadium Course, home to the Players Championship on the PGA Tour. Head further down the east coast to World Golf Village at St. Augustine or the PGA National Resort in Palm Beach Gardens. Alternatively, fly into Orlando and stay at Reunion Resort, the only golf resort in America with golf courses designed by Jack Nicklaus, Arnold Palmer and Tom Watson. Or, can also stay in a hotel located in the popular International Drive area of Orlando. Jump across to the Gulf Coast of Florida to the Tampa area and stay at Innisbrook Resort. Innisbrook also has four 18 hole layouts including the highly regarded Copperhead Course, home of the Valspar Championship on the PGA Tour. Head west to Scottsdale, Arizona fast becoming one of the top golf destinations in the USA. Desert golf is quite spectacular and Scottsdale boasts many classic desert layouts including Troon North, WeKoPa, Gold Canyon, Grayhawk, Boulders, Sunridge Canyon, Quintero and Southern Dunes. You can also play TPC Scottsdale, home of the Waste Management Phoenix Open on the PGA Tour. While there, take a day trip to Sedona and play Sedona Golf Club, set against the backdrop of the famous red rocks. Looking to get away from the cold wet British winter? Our basic long stay package consists of a minimum of 28 days. However, additional weeks can be added on a pro-rata basis so we can tailor longer stays to suit your needs. With very reasonable accommodation rates and a wide range of properties for rent it is a great way to find some winter sun. We offer two Long Stay destinations. Barefoot Resort in North Myrtle Beach is situated overlooking the Intracoastal Waterway, close to many shops, restaurants and attractions and just a few blocks from public beach access. 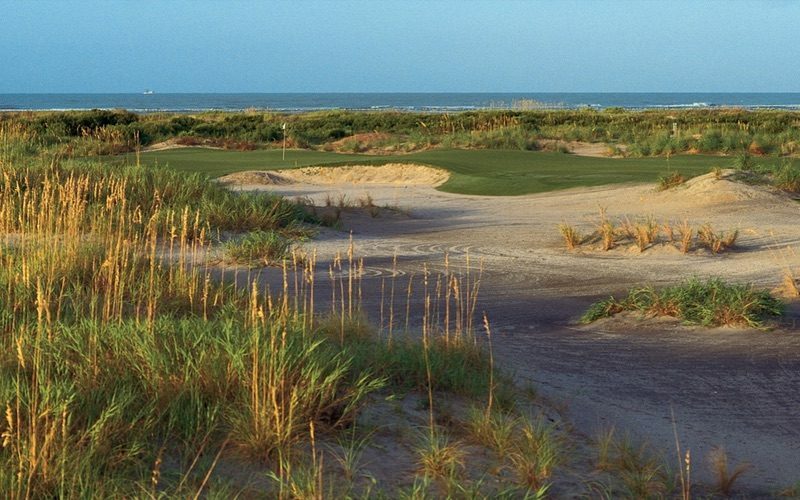 Alternatively, just 2 hours south is Wild Dunes Resort on the beautiful Isle of Palms, just north of Charleston. A top class resort with miles of sandy beach, golf, tennis, spa and plenty of dining options all on-site. Find out more on our Winter Long Stay page. With so much to see and do and such a wide range of destinations, Fly Drive is a great way to see America. Around 4 hours drive separates our four South Carolina destinations. Myrtle Beach is situated at the north end of South Carolina. Just 30 minutes south, but a world away in character is Pawleys Island. Historic Charleston is 90 minutes south of Pawleys Island. Finally, head south about 2 hours and you come to wonderful Hilton Head Island. Given that Charleston includes the island resorts of Wild Dunes and Kiawah, that effectively makes for 6 destinations within a few hours drive so plenty of relaxing and not too much driving. If you are flying into Atlanta or Charlotte you can also incorporate a few days on Lake Oconee at the Ritz-Carlton Reynolds as part of your itinerary. Alternatively, explore the South West with one of our Arizona fly drive packages. Fly into Phoenix International Airport and start your stay in Scottsdale, Arizona and explore the wondrous Sonoran Desert. From there we can arrange an itinerary which also takes in Sedona, just 90 minutes drive north of Scottsdale. Then, just 2 hours further north and you can discover one of America’s greatest attractions, The Grand Canyon. We can also add additional destinations to any trip using our extensive contacts, built up over many years in the business. See our Fly Drive page for more information. Keep up to date with resort news, new destinations and other updates by subscribing to our news group. We do not generally ask you for a deposit unless we are ourselves required to provide one to the resort. We will send a payment reminder for the complete balance two weeks before it is due which is generally 8 weeks from departure, unless stated otherwise. Payment must be via Wire Transfer direct to our US bank account.